Emmaus Ministries takes a different approach to recruitment than many church-related efforts. For its Walk to Emmaus, Emmaus uses a one-on-one method that is more consistent with the movement’s message: sponsorship. Emmaus Community members want to share the gift of their Emmaus Ministries experience with others; sponsorship provides them a caring, disciplined way to do so, enabling God’s gift of grace to be passed on through the Emmaus movement. The fact that the Emmaus experience passes from person to person reflects the relational nature of God and the manner in which God purposefully reaches out to people through people. The personal character of sponsorship underlines God’s personal care and commitment to each participant. Sponsors help make the Emmaus experience an act of sacrificial love from beginning to end—something more than the usual church retreat or religious education function. Many Communities take sponsorship for granted. The members assume that everyone knows the how and why of sponsorship. Sometimes the Community discusses sponsorship only in regard to the number of participants signed up for an event. However, good sponsorship is the very reason healthy Communities rarely cancel Emmaus events for lack of participants. Good sponsorship is vital to the Emmaus movement in every Community; therefore, every Emmaus Community continually educates its members on the role and importance of good sponsorship. The Walk to Emmaus ministries use the sponsorship model described in this section. Day Four: The Pilgrim’s Continued Journey contains a chapter on sponsorship that would promote excellent discussion in every Community. Holding sponsorship workshops as part of monthly Gatherings prior to scheduled Emmaus events supports and encourages Community members to follow through with their intention to sponsor. Communities also discuss sponsorship at follow-up meetings with recent participants after Emmaus Ministries events. One resource titled Sponsorship gives a detailed explanation of the whys, whens, and hows of effective sponsorship. An extended workshop on sponsorship could include a talk on sponsorship by a leader (see below), group discussion and group responses to the presentation, individual time in groups to reflect upon and share with one another the names of persons whom God is prompting each to sponsor, and Communion where persons offer to give the gift of Emmaus to those whom God has brought to mind. This type of meeting will broaden the base of those in the Emmaus Community who choose to sponsor intentionally from event to event. The following talk outline reviews sponsorship. Leaders may present this outline as a whole or in parts as a series. Most Communities take sponsorship for granted; the members assume that everyone knows the how and why of sponsorship. Often Communities fail to discuss sponsorship except in reference to the number of participants signed up for an event. Yet sponsorship is the most important job in Emmaus, and all members take responsibility for this area of ministry. It involves more than simply signing up people. The Community leaders cannot overemphasize the significance of educating its Community about good sponsorship. The quality of sponsorship influences the participants, the health of the Emmaus movement, and the churches affected by the movement. Good sponsorship uses discernment in inviting or recruiting participants. Good sponsors do not set out simply to recruit anyone with a willingness to attend. Good sponsorship is the first act of agape before the Emmaus event ever begins; a participant’s experience of his or her Emmaus Ministries event begins with how the Community handles sponsorship. Good sponsorship under girds the Emmaus Ministries event with sacrificial love on behalf of each participant. Sponsors embody the personal commitment of the Community to each participant and provide personal acts of agape during the event for the participants. These acts of agape include prayer, agape letters, supportive presence at Candlelight and Closing, and follow-up. Good sponsorship offers a strong link to the participants’ Fourth Day experience after each event. Sponsors stand ready to answer participants’ questions, be faithful friends, and provide perspective. Sponsors guide participants to reunion groups, encourage them to revitalize their involvement in their churches and church groups, and help them sponsor others to attend an Emmaus Ministries event. Good sponsorship grounds a healthy, effective Emmaus movement that fulfills its true purpose: continued faith formation of the participants, the development of Christian leaders, and the renewal of the church in ministry. Why do we sponsor? What is our aim? A sponsor does not aim to “get all my friends to go,” to fill up the event roster, to fix people’s problems, or to reproduce his or her religious experience in others. Rather, the sponsor aims to bring spiritual revitalization to Christians who, in turn, will bring new life and vision to the work of the church in their congregations, homes, schools, workplaces, and Communities. Sponsorship supports the church’s efforts to help Christians, young and old alike, grow spiritually—to build up the body of Christ. Sponsors need to evaluate their motive for sponsoring to ensure its consistency with this aim. Community members’ awareness of and commitment to the purpose of Emmaus influences whom they choose to sponsor and how they sponsor. Non-Christians or persons with no interest in the Christian faith or the church. Christians whose theology and/or practice notably differs from the traditional theology and practice represented by Emmaus. This includes Christians who have specific dietary restrictions and sabbath celebrations that the Emmaus experience cannot provide, members of groups who will feel a need to defend the uniqueness of their beliefs throughout the event, and persons who do not share belief in traditional doctrines of the faith basic to the major denominations of the church and to Emmaus Ministries. Persons undergoing an emotional crisis (for example, family breakup, job loss, severe grief) or who are psychologically unstable. Persons whose behavior pattern is to disrupt. Sponsors require assurance that the people they sponsor want to attend for the right reasons. Persons whose family members do not want them to participate. Sponsors do not allow the Emmaus experience to become a point of division between a person and his or her spouse, or between a young person and his or her parent(s). Persons who decide not to attend an Emmaus Ministries event after being presented the opportunity. A potential sponsor need not feel like a failure if a prospect says no. Perhaps the timing is not right. Perhaps God will renew the person in another way. Remember, the Emmaus experience is not every Christian’s way to renewal. Wise sponsorship is purposeful and prayerful; unwise sponsorship is haphazard and undiscerning. Wise sponsorship eventually will produce a balanced, theologically centered movement of the Holy Spirit, which is integrated into the life of the church in the community, and which is honored by a variety of churches as an effective instrument for conveying God’s grace, the call to committed discipleship, and our unity in Christ. Unwise sponsorship eventually will produce a harvest that becomes more a burden than a blessing for the church: a movement that has become a religious fringe group or a parachurch apart from the established church in the community. At best, such groups benefit the individuals involved, having no impact upon or relationship with the churches in the community, thus forfeiting the purpose of the Emmaus movement. At worst, such groups benefit themselves at the expense of the church, breeding division instead of unity within the body of Christ and intolerance instead of tolerance among Christians of different religious expressions. PRAY! PRAY! Then pray some more! Discern whom God wants you to sponsor. Pray about those persons you would like to sponsor and others whom God would lead you to sponsor. For Chrysalis, work with another sponsor to prayerfully consider sponsoring more than one young person from a church so that they will have friends with whom to share the event and its follow-up. Continue to spend time in prayer. Pray for the person’s openness to God’s call to discipleship rather than how to persuade him or her to attend an Emmaus event. Trust God to motivate the persons brought to mind. Make an appointment. Discuss with potential candidates the purpose and benefits of Emmaus, what you experienced as benefits, some positive aspects of the event, and the follow-up dimension. For The Walk to Emmaus, if the candidate is married, include both spouses when making the appointment and in the follow-up discussion. Extend an invitation and seek a commitment. Invite the candidate to attend for the sake of a more vital relationship with Jesus Christ. Convey the offer of a wonderful gift rather than stressing that he or she needs to go. Explain the cost and ask the prospective candidate to commit by filling out the application form. If the person is married, speak with both partners and encourage an equal commitment by both. Make preparations for your candidate. 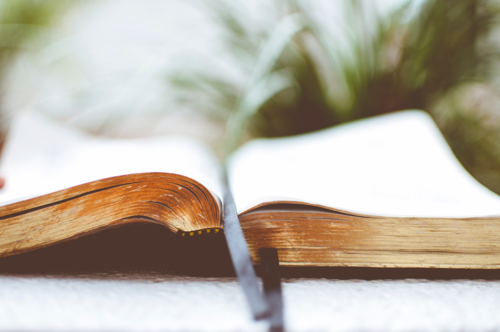 Continue to pray for your prospective participant, and enlist the support of his or her pastor. Take steps to collect personal agape letters—eight to twelve for Walk to Emmaus. Do not ask the team to deliver personal gifts to your participant, from you or anyone else, during the event. Make sacrifices for your candidate. Plan to handle whatever responsibilities will need attention on behalf of your candidate during the event such as house-sitting, babysitting, watering plants, picking up mail, feeding pets, or just checking in with a spouse to see if any help is needed. Consider tasks you can undertake that will make it possible for the candidate to attend. Support the event during the three days. Sign up for the 72-Hour Prayer Vigil, and be present at Sponsors’ Hour, Candlelight, and Closing. Encourage the participant in his or her Fourth Day involvement. Give your friend an opportunity to talk about the three-day experience and what it meant to him or her. Help the participant find a reunion or Next Steps group, or be prepared to start a group with him or her for a period of time until others join the group. Take the participant to Community Gatherings as your guest for a couple of months. Help him or her feel included. Help your participant act on new commitments. Help the participant reenter his or her church and follow through on fresh hopes and dreams, decisions, and changes he or she feels called by God to make. For a young person not active in a church, invite him or her to become part of your church and youth group. Inform the participant of ways to serve the Emmaus Community. Encourage his or her support of upcoming Emmaus Ministries events through prayer and by serving behind-the-scenes. Explain and model progressive servanthood so that he or she may work toward serving on a future leadership team. Help your participant sponsor others. Offer assistance the first time he or she sponsors someone else. Explain the responsibilities and expectations of sponsors. Above all, be a model sponsor yourself. Sponsorship is an act of love for God, for the participants, for the Emmaus Community, and for the church. It is a living demonstration of agape love. Through sponsorship, we become instruments of God’s design and prevenient grace. Any person who has participated in an Emmaus ministry or other recognized three-day movement event can sponsor a person to any Emmaus ministry event so long as he or she (1) understands the aim and responsibilities of sponsorship and (2) can fulfill them for the person he or she would sponsor. Church leaders such as pastors and ministry directors make excellent sponsors because they know the persons who are ready to make the most of their Emmaus Ministries event and will strengthen the church by their participation. In many cases, the best sponsors are people who have attended an Emmaus Ministries event and want to sponsor their own family members (siblings, parents, children, etc.). In some cases, young or inexperienced sponsors need to be linked up with experienced sponsors in order to ensure follow-through on all the responsibilities of good sponsorship. Persons who only recently attended an Emmaus Ministries event would better serve with the assistance of an experienced cosponsor. Registrars need some sensitivity to sponsors who require assistance. 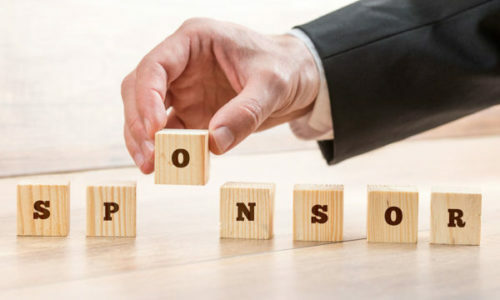 Given the importance of sponsorship, Boards of Directors may develop local guidelines and reasonable expectations to ensure responsible sponsorship. For example, Emmaus Ministries application forms may have a provision that potential sponsors are to give evidence that they understand and accept the responsibilities of sponsorship for their candidate. Registrars may expect and ask potential sponsors to indicate that they have attended a sponsorship training session, if such opportunities are accessible throughout the year at Gatherings, Community education days, or in other ways. Potential sponsors who have participated in another valid expression of Emmaus may need to confirm a degree of contact with or involvement in the local Emmaus Community and evidence an understanding of Emmaus and sponsorship. Sponsors do not serve as team members on Emmaus Ministries events with people they are sponsoring. If a person has already committed to sponsor, he or she declines the invitation to be a team member. If sponsors choose to serve as team members, they find others who will sponsor their candidates. Team members cannot support a participant during the event in the manner intended, such as Sponsors’ Hour, the Prayer Vigil, and Candlelight. On the one hand, team members who also sponsor often cannot serve without anticipating, hovering, or being distracted by a special interest in the responses of “their” participants. On the other hand, the hopes and expectations of their ever-present sponsors on the team may limit participants’ freedom to respond, a likelihood that is antithetical to the principles of Emmaus. Sponsors do not serve as team members on the same event, and participants should not see their sponsors serving “behind-the-scenes” as support persons during the event. The absence of the sponsors gives the participants the space they need for their own interaction with and experience of God during the event. After the Send-Off, once the participants have left the assembly room to begin their event, the sponsors and others present gather in the chapel for a time of prayer for the participants and their experience. The Community Spiritual Director or a board member leads Sponsors’ Hour or arranges for someone in the community to lead it. This brief service consists of prayer for each of the participants by name. The leader may read aloud the name of each participant. As a name is read, his or her sponsor walks to the front where the participants’ crosses are draped across the altar. The sponsor takes a cross for his or her participant and hangs it across the arm of a large standing cross. The individual crosses will remain there throughout the event as a symbolic focus of prayer in the Prayer Chapel. Those gathered pray silently for each participant as his or her cross is carried forward. If a sponsor is not present and did not arrange for a proxy, any Community member may spontaneously stand in for the sponsor and carry the cross forward.